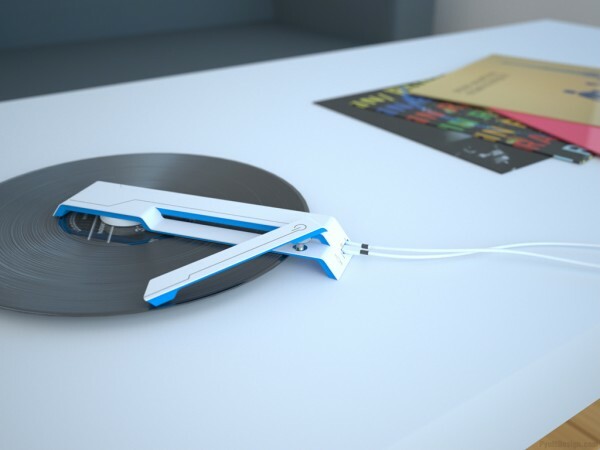 Linos is a portable USB record player designed by Charles Pyott that is small enough to fit in a pocket. The record is attached to the player, which is then plugged into a USB port or audio jack. It appears that it is only a concept at the moment, but if it existed I’d love to have one, my records have been neglected since I moved and no longer have enough space for my turntables and mixer! More information and photos can be found here.